Just what is the military diet exactly? Many have been wondering this lately, given how much it’s been talked about. Those in the health and wellness industries have certainly been talking about it, and everyone has likely heard press reporters in the background running pieces titled “what is the military diet” in trying to cover the growing trend. For those that have missed the information so far, this article is a brief primer on this diet. The big claim around this diet is the idea that following it can help the user lose weight fast. 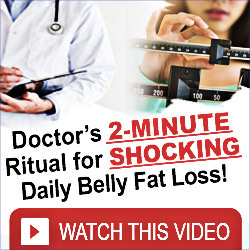 In fact, results are expected to be as many as 10 pounds of weight loss within the first seven days. The diet is also popular because it’s free. Unlike many other diets, it does not revolve around a particular book, supplement requiring purchase, or even an expensive food as some plans do. Another name for this diet is the 3-day diet. The central idea is that a follower would stick to a rigid 3-day meal plan, which is then followed by a period of 4 days off. This becomes a repeated weekly cycle which is continued until a person achieves their target weight. 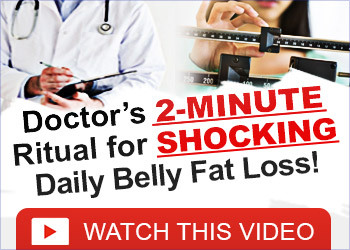 The thinking is that this diet was designed by United States armed forces nutritionists looking to get soldiers into peak physical condition as quickly as possible. That’s the claim behind the diet, but in truth, no governmental institution or part of the military actually acknowledges any affiliation with this diet. Other names for the military diet include the army diet, the navy diet, and even the ice cream diet. Each seven-day period of this diet has two phases. The first 3 days include a set meal plan of low calorie intake across three daily meals with no snacks occurring in between. The total calories allowed runs from 1,100 to 1,400 per day. That’s a lot lower than many adults need. The other 4 days should just focus on eating healthy with low intake of calories remaining, just not as strictly. Breakfast for day one revolves around a slice of toast sporting 2 tablespoons of peanut butter along with an optional cup of tea or coffee and one half of a grapefruit. Lunch involves another slice of toast with half a cup of some tuna and another optional beverage. Dinner is a cup of green beans with 85 grams of meat, half a banana, a small apple, and one cup of plain vanilla ice cream. Days 2 and 3 are similarly restrictive for each meal. The other four days of the week do not have specific food group restrictions, but portion limits should be kept small, and total calorie intake should stay under 1,500 daily. The diet does prove effective for practitioners that follow it, but that’s because the caloric intake is so low to start with. The sustainability of the diet is debatable, given how restrictive it is, with long-term caloric deprivation of such magnitude possibly slowing the metabolism of some. Also, those with nut allergies and other food sensitivities must find substitutes for specific foods in the strict 3-day phase. As always, this diet should only be done in conjunction with a person’s physician or doctor consultation and supervision.